It’s hard to believe that it’s the end of May and graduations are in full swing. For 22 Academy of Art students, graduation is all but overshadowed by seeing their creations strut down the runway at their graduation fashion show earlier this month. With guests of honor that included Cathy Horyn, fashion critic for The New York Times, Nathalie Rykiel, President and Artistic Director of Sonia Rykiel, Fashion designer Yigal Azrouel, and other fashion luminaries, there was a lot to celebrate. The show was held at a tent erected especially for this show. the venue felt much like the tents in Bryant Park during New York fashion week (the shows are now in their new location at Lincoln Center). With a capacity crowd sitting on high rise bleachers, you could feel the anticipation. With Simon Ungless at the helm, as director and creative genius of the show, it gets better every year. Simon is also the Director of the School of Fashion at the Academy, former classmate and collaborator of Alexander McQueen, and the friend that suggested Sarah Burton to Alexander McQueen (you remember, the Sarah Burton that designed Kate Middleton’s wedding gown?). 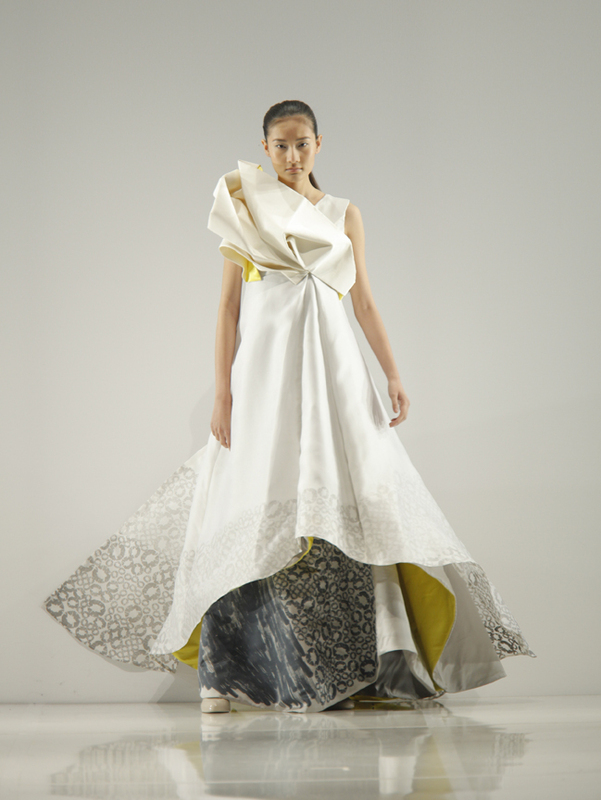 Many of the collections were collaborations between fashion design and textile design students. This made each combined collection, much more interesting and unique. The last collection of the show was by designer Cynthia Tran and textile designer Kassie Moody. Cynthia is a hometown girl from Oakland, Yeah! The Inspiration for this collection was “Ludwig Bemelman’s Madeline children’s books and 1960′s silhouettes”. This was a stunning group of amazing dresses. 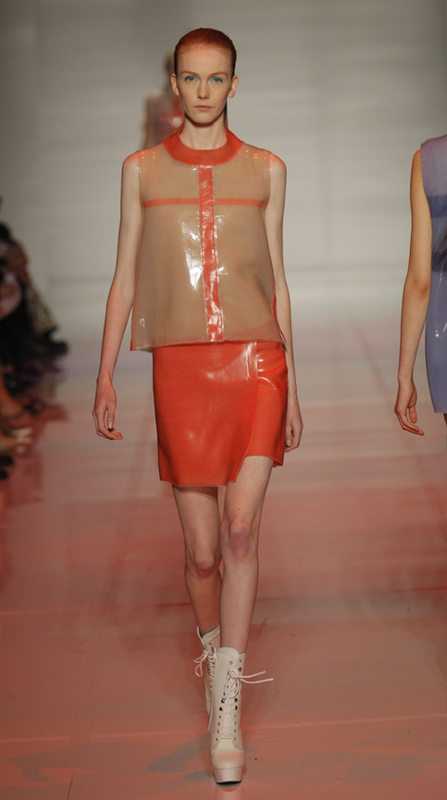 The fabrics just floated down the runway and each one had an architecture all it’s own. Simply beautiful. There were many more collections including several menswear capsules, that were really impressive. It’s hard to remember when you see all these amazing and creative pieces, that these were designed and sewn, or printed by STUDENTS!!! Many of these uber talented students are going on to intern with some of the most well known designers in the world before striking out into the exciting world of fashion design. Congratulations AAU students, well done!!!! SAVE THE DATE— I will be doing a packing seminar on Thursday, June 8th, 6 pm at the ATHLETA store on Fillmore St. in San Francisco. Come by and learn how to pack for those summer getaways…see ya there!